moong dal namkeen recipe | haldiram moong dal | fried moong dal haldiram style with detailed photo and video recipe. a crispy and crunchy fried snack prepared from split green gram which is tossed with dry spices. 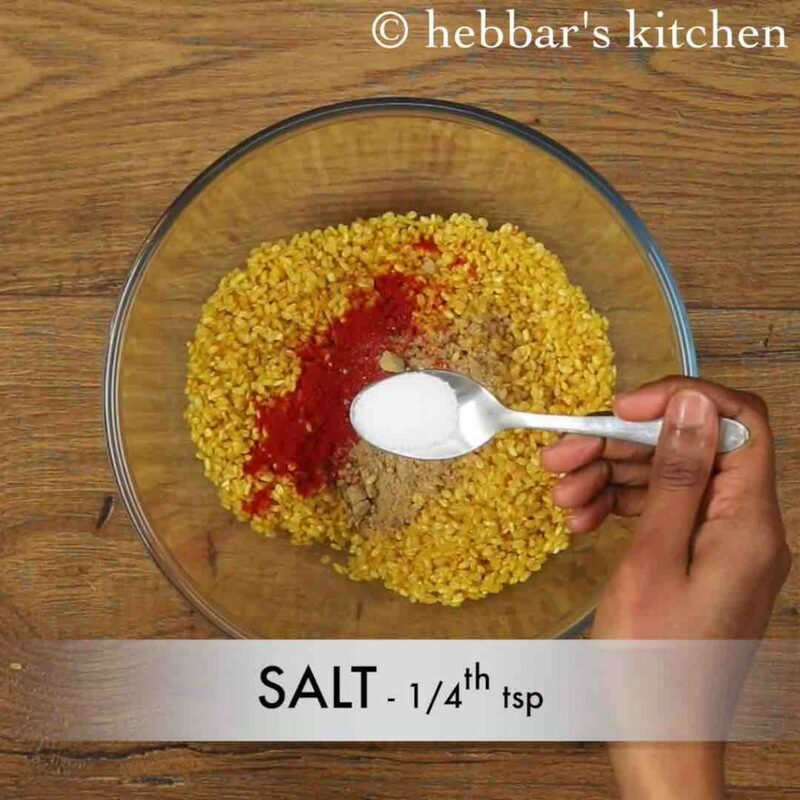 a popular munching snack which is typically bought from grocery stores, but it can also be homemade with few easy steps. 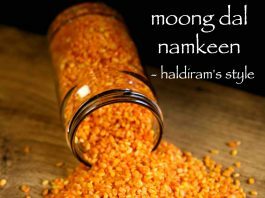 moong dal namkeen recipe | haldiram moong dal | fried moong dal with step by step photo and video recipe. 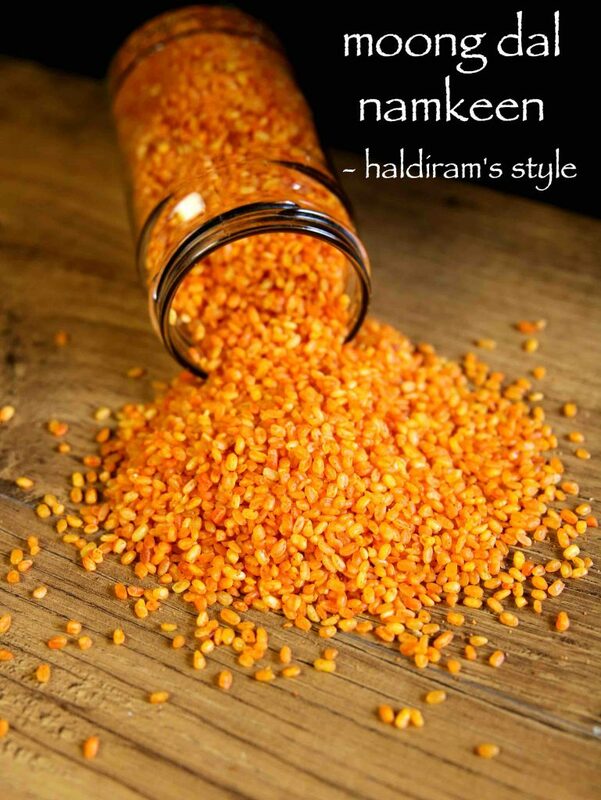 i guess whenever we think of moong dal snack, the first impression comes to our mind is haldiram brand. while haldiram brand is so popular with this snack, it has created a perception that it may not be prepared at home. trust me, it is a very simple recipe and you would be awestruck with the end result once you try this munching moong dal namkeen. there are several snacks which i had to stop having after i moved to australia and moong dal namkeen is one of them. it is not because i do not get it here in local indian grocery shop, it is because of the quality of these packed snacks. most of the time i get rancid oil smell from these snacks which is not at all pleasant. but gradually i started learning these snacks recipe one by one and moong dal namkeen was the first one. i always thought it must be a cumbersome process too cook haldiram moong dal but it was cakewalk. moreover i had content of eating healthy and homemade snack as compared to the store bought one. while it does not have much complicated steps, yet few tips and recommendations for crispy moong dal namkeen recipe. firstly, soak the moong dal well for 4 hours or overnight for perfect texture. 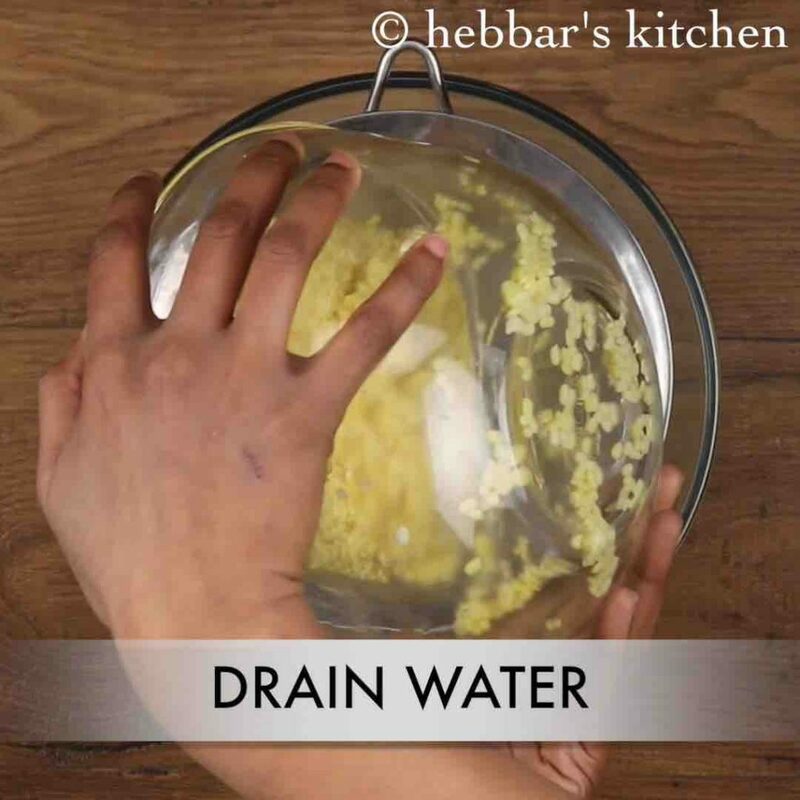 also make sure drain off the water completely and pat dry as if there is any moisture left then there are chances for oil to burst. finally, season the namkeen with just salt or add chilli powder and chaat masala. firstly soak 1 cup moong dal in enough water for 4-5 hours. 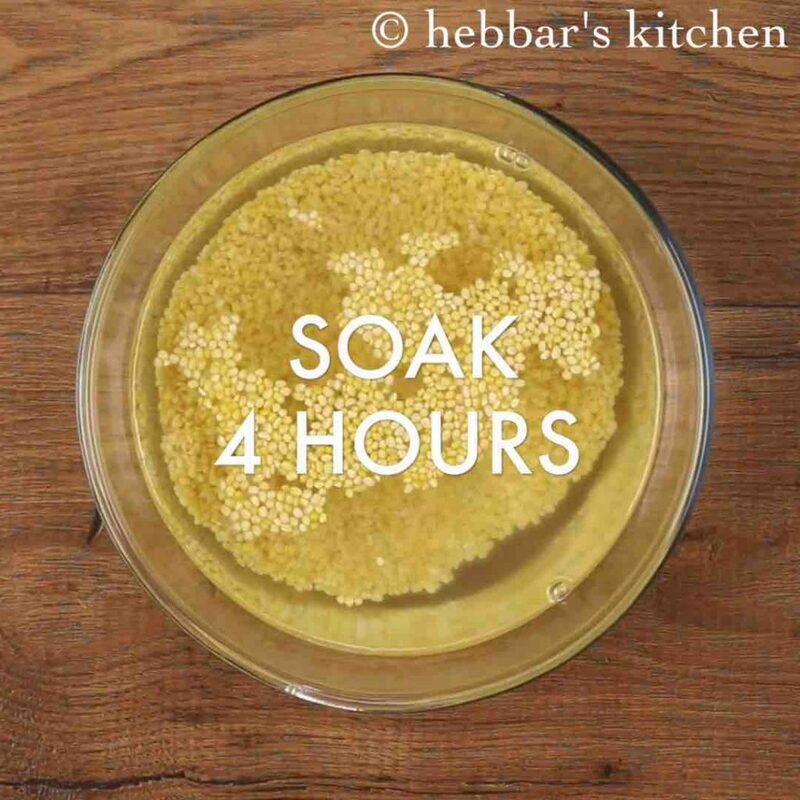 spread the soaked moong dal on a towel for 30 minutes to absorb water. fry it in hot oil stirring continuously. fry till moong dal turns crisp. 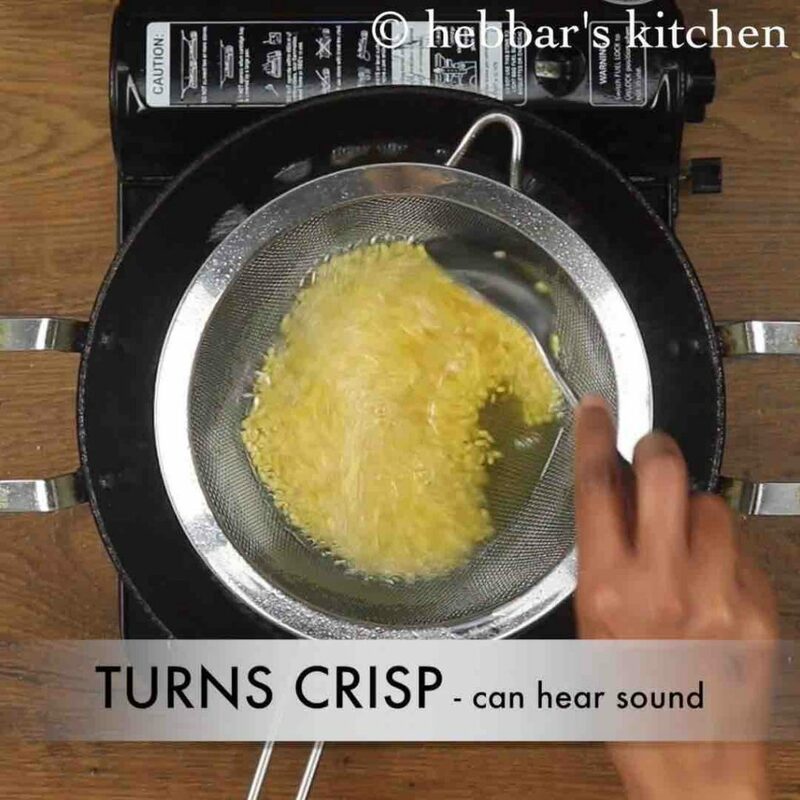 can hear a crisp sound when stirring. 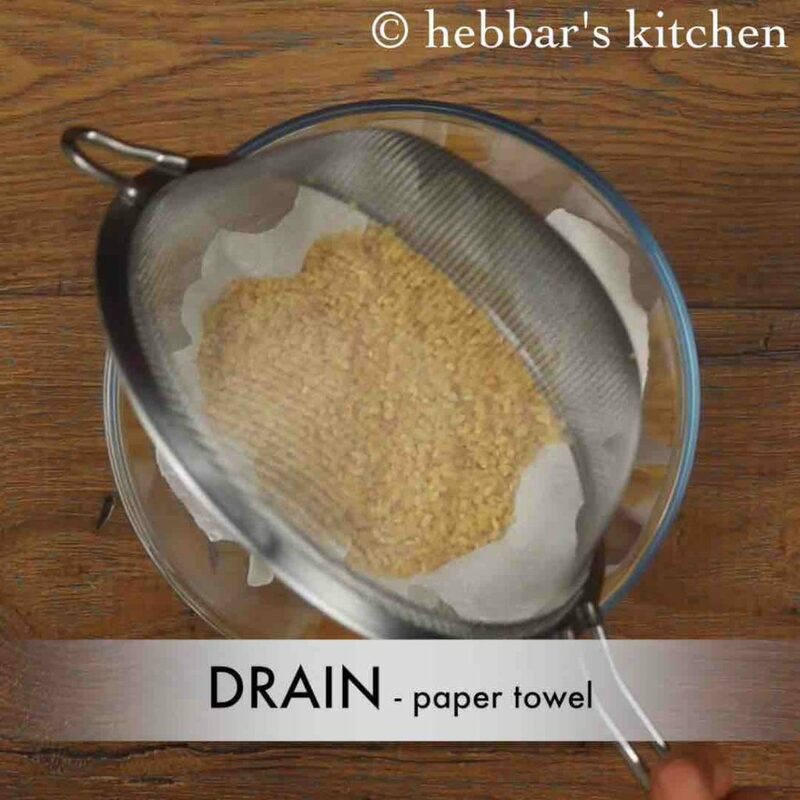 drain off the moong dal over paper towel. 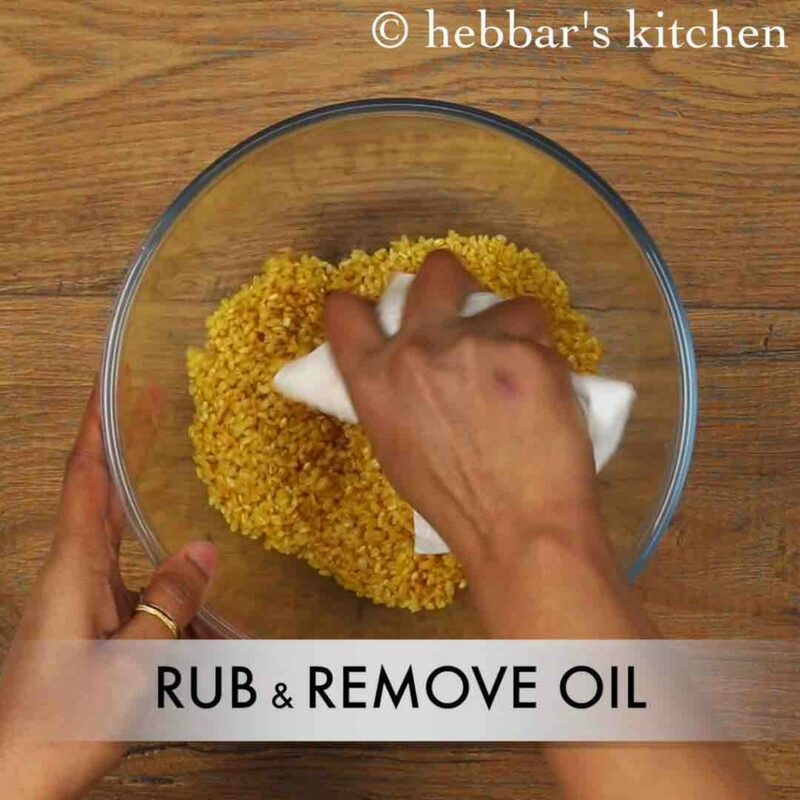 rub them well to remove oil from fried moong dal. 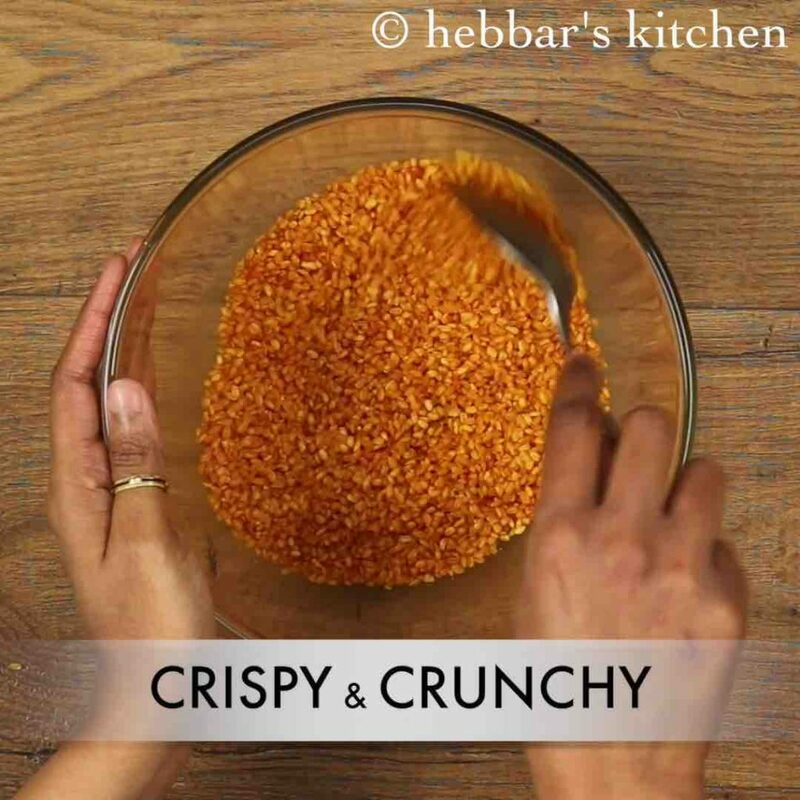 when moong dal is still hot add in ½ tsp chilli powder, ½ tsp chaat masala and ¼ tsp salt. finally, enjoy crispy and crunchy moong dal namkeen with some tea / coffee. 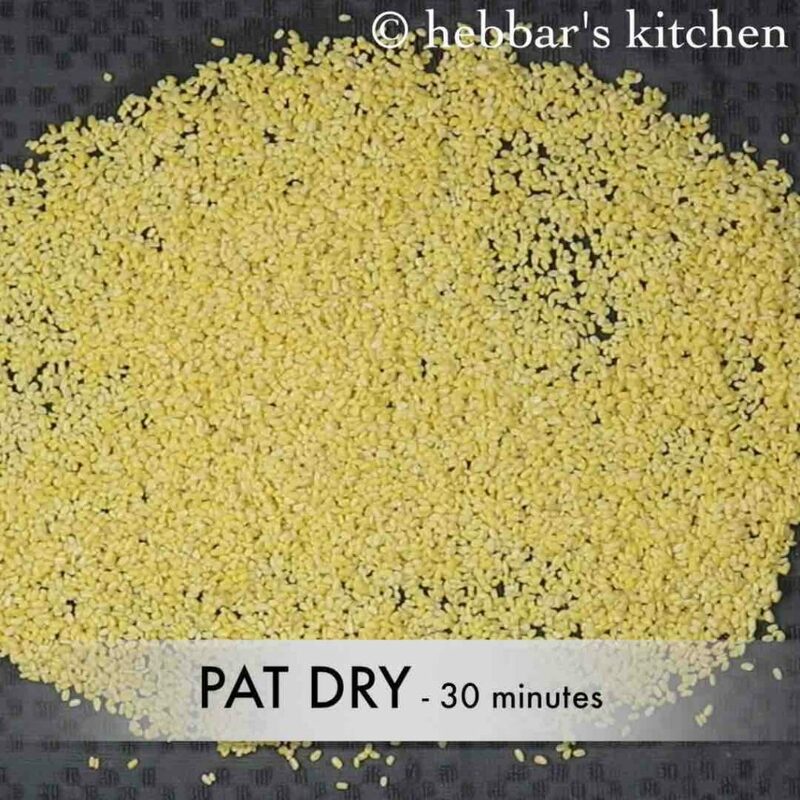 firstly, soak moong dal for 4 hours and pat dry to remove all moisture. else they might splutter while frying. 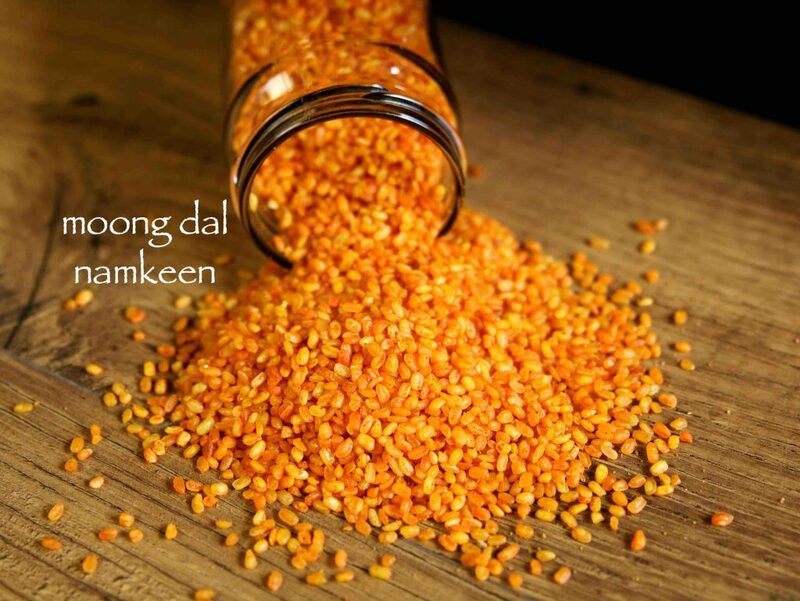 also, replace moong dal with chana dal to prepare chana dal namkeen. 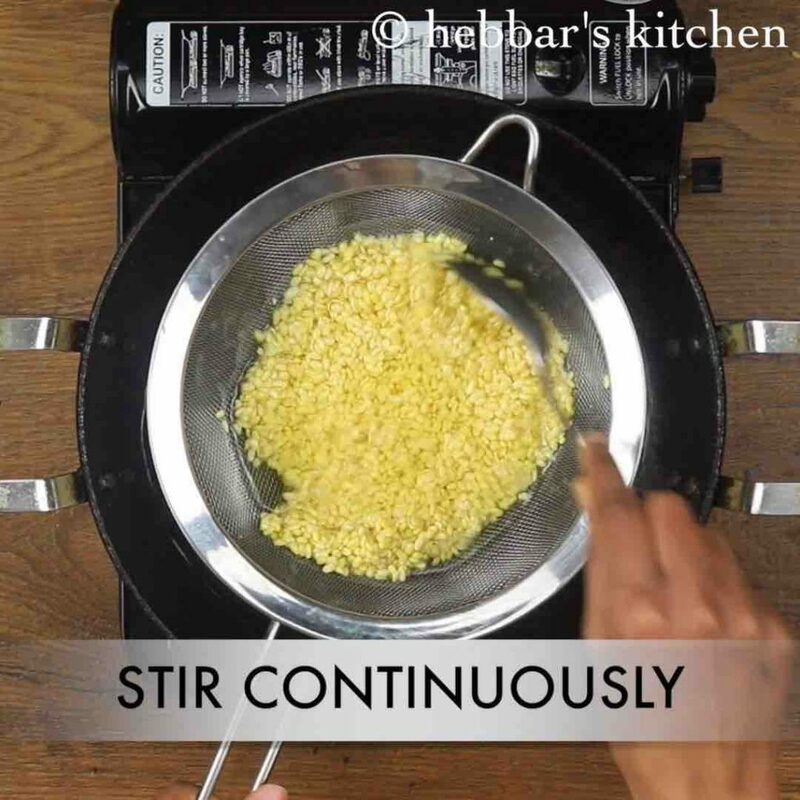 instead of deep frying you can also air fry the namkeen till it turns crispy and crunchy. 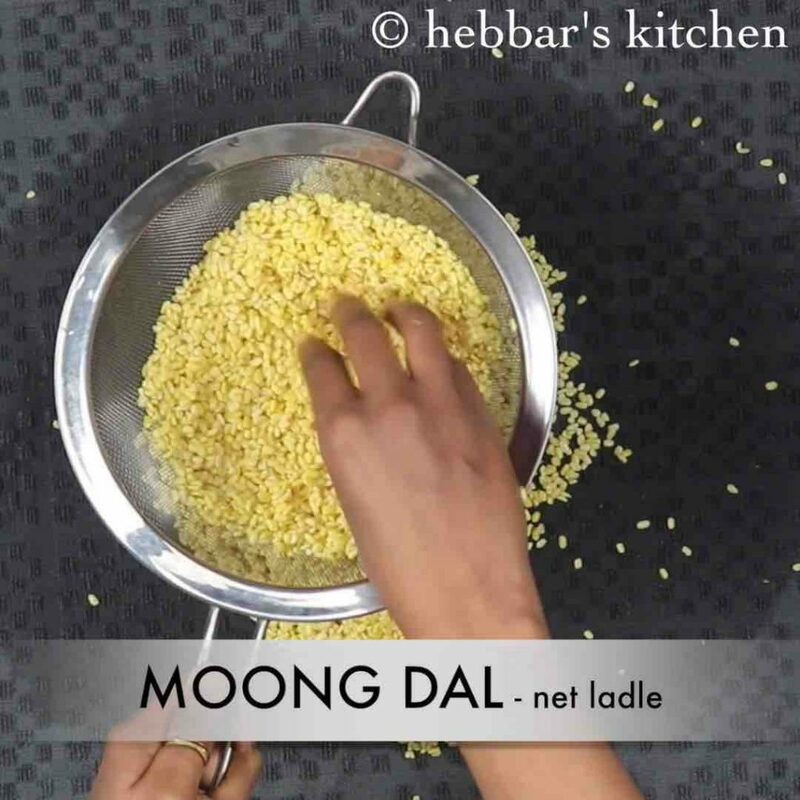 additionally, use net ladle to fry moong dal easily, else it is difficult. finally, moong dal namkeen stays good for months when stored in air tight container.